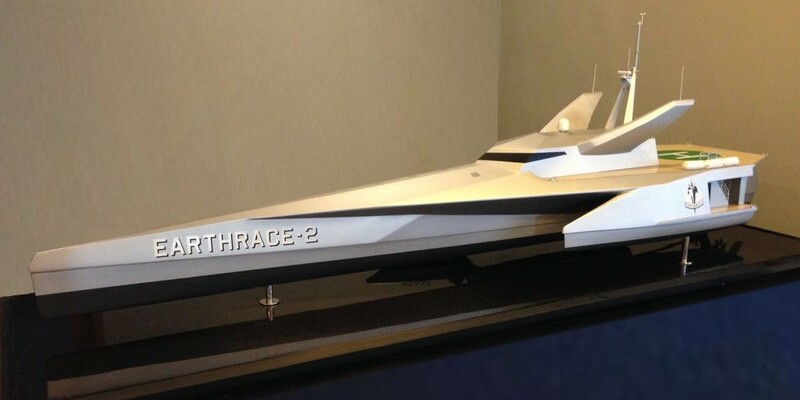 We’ve just completed a 2m model of the MV Earthrace-2. It certainly helps put this amazing boat in perspective. At 3 stories high and 60m (195 ft) long, she is going to be a real beast. I’ll be using the model in sponsor meetings, and perhaps taking it along to any talks that I give. Also if we have any trade shows or exhibitions I’ll put her on display. At the moment it’s being shipped to Abu Dhabi. Technically its the second model made. Our Naval Architects, LOMOcean Design, built an earlier model that was used for tank testing. This was run in a controlled lab in Melbourne and pushed through water at various speeds. 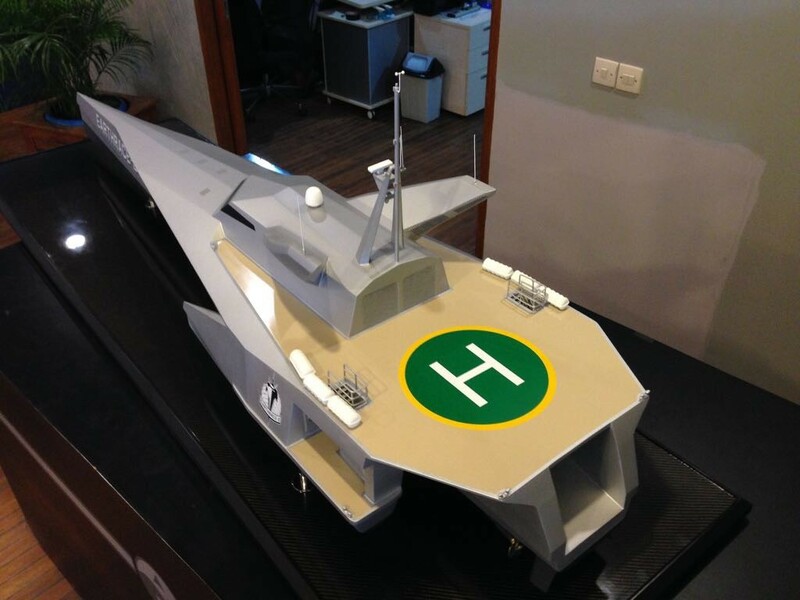 It means when the final vessel is launched, we’ll have a better idea on fuel consumption and performance. 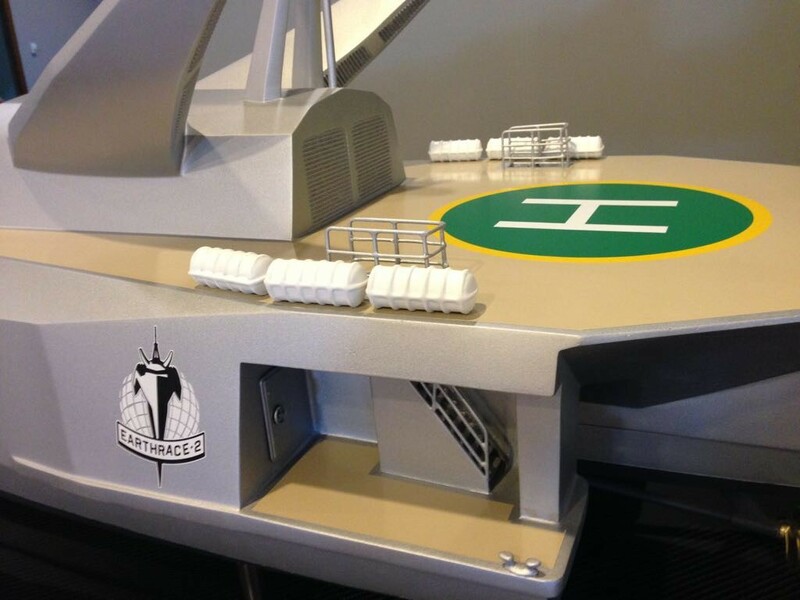 Helipad on the back deck is intended for our Schiebel S100 Drone. But at a push you could pop a chopper down here.